As anyone who uses Windows 10 will know, your name is visible on the sign-in screen. For some people, that creates a privacy concern, especially if you frequently use your computer in a public environment. 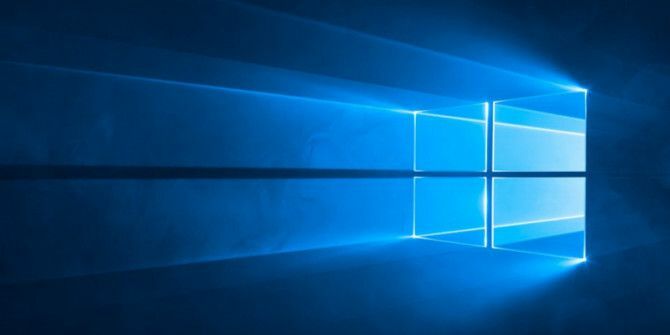 Sadly, it’s one of many privacy issues on the operating system Everything You Need to Know About Windows 10's Privacy Issues Everything You Need to Know About Windows 10's Privacy Issues While Windows 10 has some issues that users need to be aware of, many claims have been blown out of proportion. Here's our guide to everything you need to know about Windows 10's privacy issues. Read More . Unfortunately, Windows doesn’t let you set a username or alias while retaining your real name on your Microsoft Account, so you’re forced to use a workaround. The approach you need to take depends on whether you use a Windows account or a local account to sign into your machine. The only way to change the name you see on the login screen if you use a Microsoft Account is to change the name on the account itself. Click on Manage my Microsoft Account. Wait for the account page to load in your browser. Below your name, click on More Actions. Once the page loads, click on Edit name. Ideally, you want to choose something that resembles your current name without giving away your full identity. Remember, changing your name here affects your profile across all Microsoft services. If you have a local account, the process is much easier. Click on the local account you want to edit. Click on Change account name. And finally, remember if you just want to hide your email address on the sign-in screen How to Hide Your Email Address on the Windows Login Screen How to Hide Your Email Address on the Windows Login Screen If you're on a computer in public, logging onto Windows can be a privacy nightmare as your email address is shown. Here's how to stop that from happening. Read More , you can do so by going to Settings > Accounts > Sign-in Options > Privacy and sliding the toggle next to Show account details into the Off position.